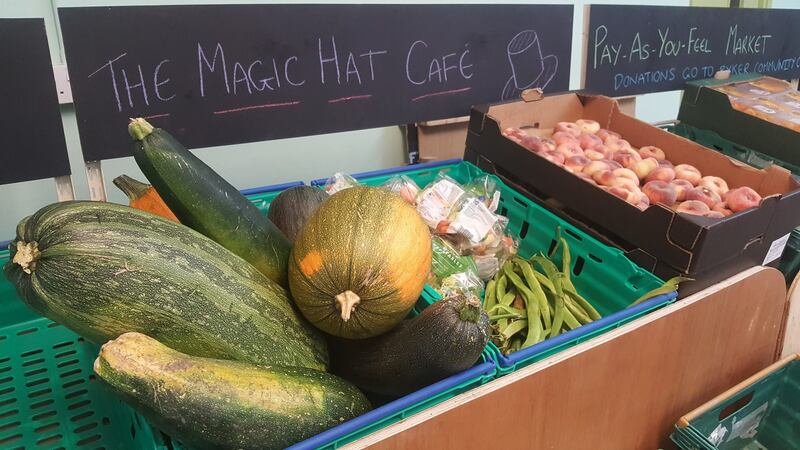 We’re in Byker every Friday 5.30-8pm running an anti-food waste pop-up cafe. All dishes are made from 100% surplus ingredients and served pay-as-you-feel! The cafe is at Byker Community Centre, just 5 mins walk from Byker metro and close to the Ouseburn. We run a full table service each week, plus take-away for those who want to come and collect some food rather than sitting in. If you can bring your own container that would be amazing, but if you can’t don’t worry we’ve got you covered. Everyone is welcome to our cafe, in fact the more the merrier! We’re currently trialling how sustainable a regular cafe is in preparation for getting our own place so please come see us and show your support! Just like all of our events our regular cafe is pay-as-you-feel – pay what you want for the food, how you want! We accept donations of time, money and skills, or simply tell us what you thought! We’ve got the most eco-friendly dinner in town so come eat with us to help fight food waste! Good food and good vibes at Byker Community Centre, every Friday 5.30-8pm. Vegan and gluten-free catered for. Family friendly. For more info please check our facebook event. In April 2018 we launched Newcastle’s first pay-as-you-feel market at Byker Community Centre. 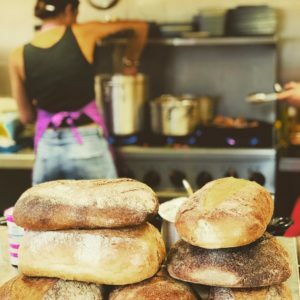 We work with the staff and volunteers at Byker CC to bring fresh, surplus food to the city that is available to all, no referrals, no addresses, everybody is welcome and as long as the food gets eaten and not landfilled, we’re happy! The market is open alongside our cafe every Friday evening, 5.30-8pm and on Saturday 10-1pm. If we rescue a large amount of food in the week the market might be open on other days, please check direct with the community centre on weekdays and they’ll let you know what’s on the shelves.